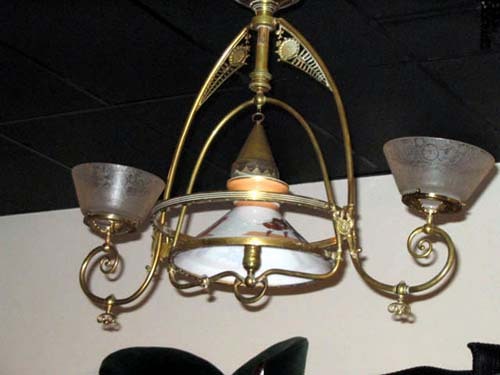 This is an unusual gas chandelier with the center pull down wired for electricity. 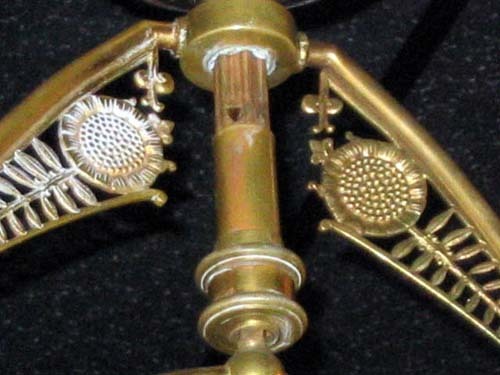 The 2 outside arms are still gas, with acid etched aesthetic globes. 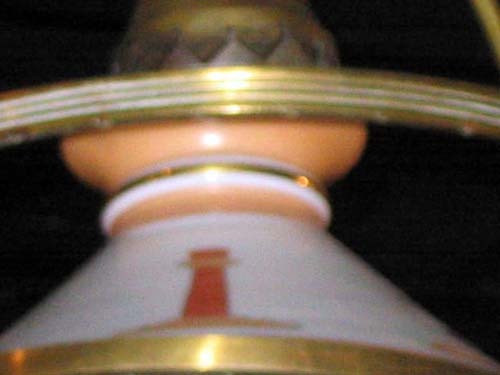 The center slant shaped globe is in the Egyptian style. 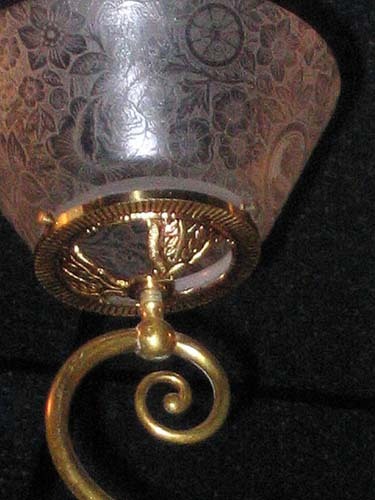 This frame is topped with beautifully detailed sun flowers.